Since 2015, the coalition government promised the establishment of a Debarment Committee which would blacklist companies that take on big projects only to deliver sloppy work. But this is yet to be done. Earlier last year, the Ministry of Public Infrastructure initiated the process of creating a database to keep a track record of the number of projects awarded to local contractors and their performance with respect to each. This process was also intended to support the debarment initiative. But even the work in this regard has not been completed. 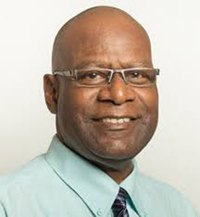 Head of the National Procurement and Tender Administration Board (NPTAB), Berkley Wickham told Kaieteur News that the Debarment Committee is a necessary element in the area of procurement, but its establishment is no longer in the hands of NPTAB. He said that it is with the Public Procurement Commission. This body was created since 2016. Considering the fact that Guyana’s procurement system is not only plagued by a culture of corrupt practices, but also the acceptance of slapdash work provided by contractors, former Auditor General Anand Goolsarran has been a staunch advocate for the implementation of the Debarment Committee. He says that it is one of the sure ways to ensure that companies bring themselves in line with international best practices and that the country gets value for money. Debarment mechanisms are practiced by various Caribbean countries such as Jamaica, and international agencies like the International Monetary Fund (IMF). Guyana’s laws also provide for the installation of a debarment committee but under the previous Government, this was never given priority. Goolsarran believes that the Committee is necessary since the country’s weak public procurement system has led to the loss of millions of dollars annually. He said that it is a broken system which often sees contractors providing substandard work with little or no consequences, while stressing that the time is now to show that Government means business. In fact, he contends that the weak systems of the NPTAB need to be addressed by the administration once and for all, as they are costing the country approximately $28B annually.